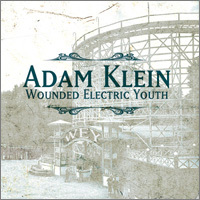 Athens, Georgia-based singer/songwriter Adam Klein’s journey as musical storyteller achieves new heights with his newest release and band debut, Adam Klein & The Wild Fires’ Sky Blue DeVille, due out April 15th on Klein’s Cowboy Angel Music label. In summer 2011 Klein gathered together friends and musical associates to found his first set touring band, The Wild Fires. 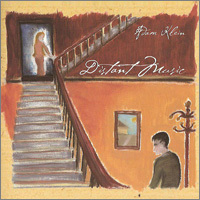 Klein had already released three well-received albums featuring assorted all-star line-ups from the talented Athens scene, including Randall Bramblett, John Neff (Drive-By Truckers), David Blackmon, multi-instrumentalist AJ Adams, Lera Lynn, and more, but the formation of The Wild Fires seemed to mark a turning point. Alongside bandmates Steve Abercrombie (bass) and Crash Cason (electric guitar), multi-instrumentalist and drummer Bronson Tew joined the fold and the project was propelled forward. 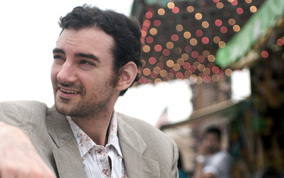 Adam Klein & The Wild Fires toured throughout the southeast and gained steam. The group began recording in April 2012 at Full Moon Studio in Watkinsville, GA, for an intended 7” vinyl release, but the project slowly expanded, first to a six-song 10” and finally into a full length nine-song collection. The songs were certainly there, as Klein found himself with nearly three other albums already written. Over a matter of months, between playing shows and Klein’s travels to West Africa, the band built the songs of Sky Blue DeVille. 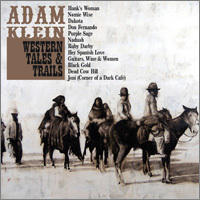 Recorded by accomplished engineer Tew of the Fat Possum label’s Dial Back Sound (Dexateens, Water Liars), the collection steers away from the country and roots-heavy stylings and instrumentation of Klein’s previous releases in favor of a more Americana rock approach centered on Cason and Tew’s thick electric guitars and special guest Randall Bramblett’s dense Wurlitzer, Rhodes, and piano. Legendary Hammond B3 maestro Ike Stubblefield (Marvin Gaye, Al Green, B.B. King) also contributes his grand sound to closing track “Highway of Your Love”, and David Blackmon (The Kenney-Blackmon String Band, Widespread Panic, Jerry Reed) sat in for touches of fiddle. Mixed to tape by Bronson Tew at Dial Back Sound in Water Valley, MS, the nine-song record is a powerful, sweeping collection characterized by a warm, rich analogue sound. Diverse in sound, Sky Blue DeVille manages to bring together a range of song types with remarkable effect. The opener and title track, robed in the honey-toned wurlitzer and shimmering guitars, is a new sonic presentation of Klein’s evocative and nostalgic signature style. A nod to a bygone time, here is the story of a beleaguered and confused Elvis Presley, prisoner of his own empire, longing for the simplicity of days past. “Drivin’ in the Rain” revisits the King as he sinks deeper into disconnected melancholy, reflected in the tense, unsettling music and the lyrics: “Just a shadow of what used to be/ I got a paranoid mind/ Roller coasters and magazines/ and a hollowed out smile/ While bluebottle flies swarming at my side/ keeping me alive”. Elsewhere, the band locks into a Muscle Shoals groove replete with tasteful horns on “Goodnight Nobody”’s grey and rainy stroll through Red Hook; enjoys a bright, pop spin and sing-a-long, refusing to be brought low by the hazzards of love on “Where Our Love Is”; and sparsely colors and builds yet another of Klein’s compelling, lyrically proficient story-songs, “Jesse’s Mind”. Told from the perspective of Jesse James’ mother as she awaits the dreaded news of his death, Cason’s guitar work is on show here, channeling the dynamic fills and lines of no less than Mark Knopfler. “In a Southern Way” was written and recorded within weeks, a rarity for Klein. “I was driving back to Bronson’s after a show,” says Klein, “and passed a cemetery with blue lights emanating from each grave marker. It was ghostly, and the lyrics and melody started forming immediately. When we got to his place we sat on the porch, worked out the progression, and I wrote it over the next day or so.” A quiet hit amongst the tracks, Klein wonders of paths untaken and lives un-lived. “You live life and make seemingly small decisions, often with little foresight, which have a monumental affect on who you become and what you do. Should I have left Athens to live anywhere else in the world and pursued a different life? Am I maximizing the ways in which I can give to the world?” A commentary on his hometown scene and the special, charming “small town” community he remains connected with, Klein sings: “Coulda been gone baby/ I just never did leave/ It’s my home and I long to stay… I got stoned in a southern way”. Finally, the B3 organ swells of gospel-like love hymn “Highway of Your Love” closes the collection in majestic form. 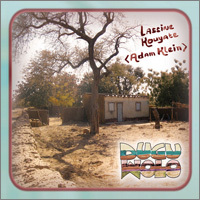 A far cry from his previous release, the acoustic West African ‘Mande’ roots record, Dugu Wolo, Sky Blue DeVille represents yet another step forward for Klein’s versatile songwriting as he continues to explore and expand upon sounds rooted in his exciting brand of Americana and folk. 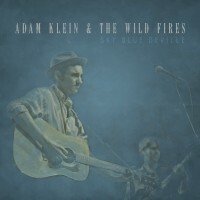 Adam Klein & The Wild Fires’ first record together, Sky Blue DeVille favors an Americana rock sound over roots instrumentation on Klein’s engaging Americana/folk songs. With touches of Memphis soul and R&B rhythms, the album is anchored by thick organs and electric guitar. Featuring special guests Randall Bramblett, Ike Stubblefield, and David Blackmon.